The classic skate/snowboard trick the “50-50” is a slide or grind down a rail parallel to it while keeping yourself balanced. 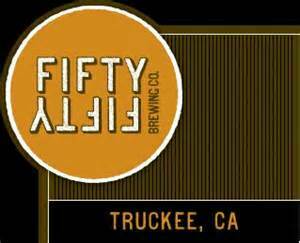 Just like this, Fifty-Fifty Craft Brewery and Restaurant leaves you with that perfect balance. Great beer along with tasty food to finish off the day. Names like Concentrated Evil, Rockslide, and Foggy Goggle let you know this spot understands how to have fun. Even if you’re not a drinker, the cuisine is worth a stop. From pizzas, to salads, and sandwiches there is something for everyone. If you are looking for something unique, try one of Mountain Valley Meats sausages. These are freshly made next door at the butcher shop.